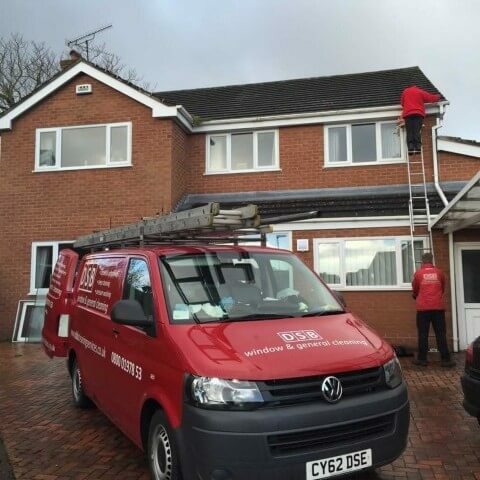 Gutter, Fascia & Soffit cleaning is one of the most important jobs for maintaining the appearance and value of your home. 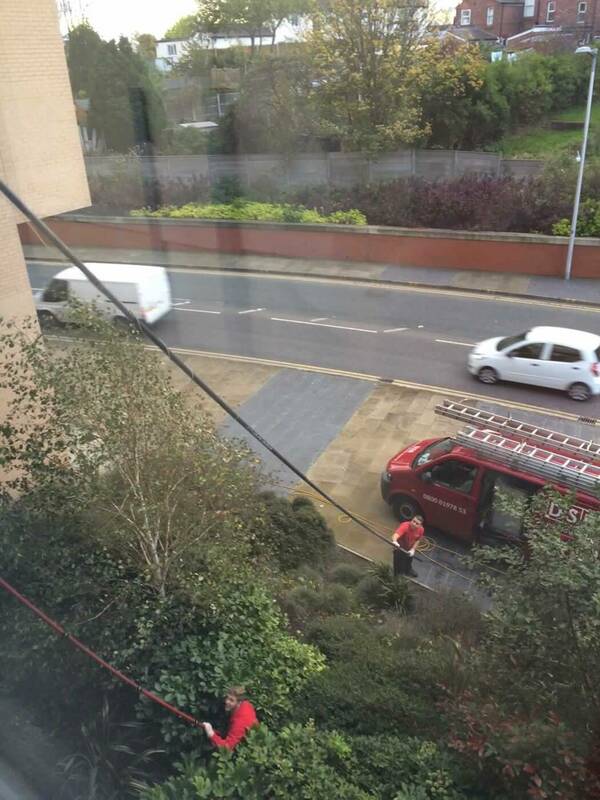 DSB cleans out gutters and ensures they drain like they should. Without regular gutter clearance, your gutters become full and heavy and will very often pull away from the wall and the angle of the guttering becomes distorted. 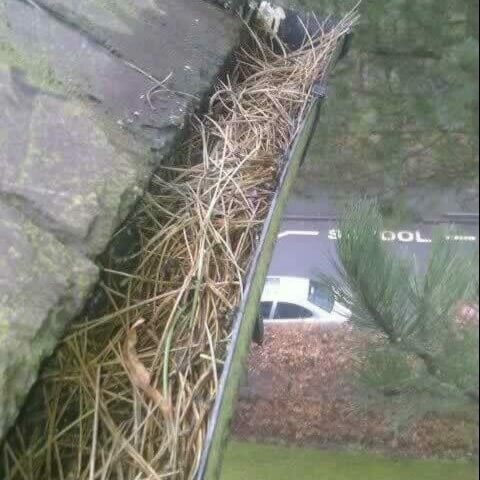 This will lead to water overflowing behind the gutter which can travel into your home through small cracks and cause damp issues and it can also damage your fascia boards. This damp can easily ruin walls, floors and ceiling, as well as furniture and personal belongings. It takes a lot of time and money to fix these problems, as well as all the stress. Why not remove this stress from your life? 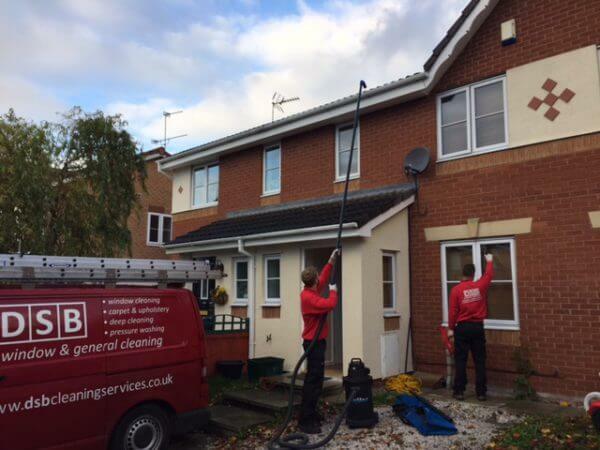 DSB cleans gutters, fasciae and soffits so your house looks its best. 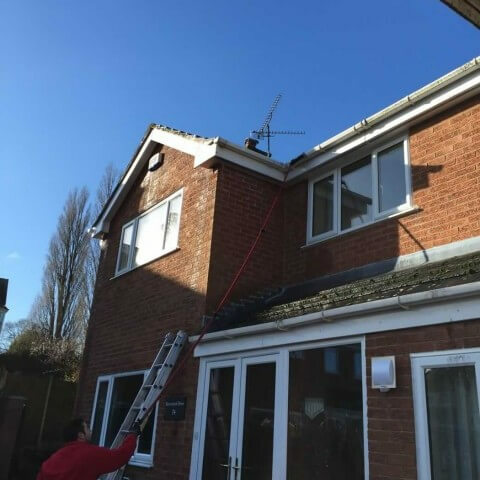 If you wait until you find a problem in your guttering, this is usually too late whereas regular maintenance can prevent any related issues from broken or blocked guttering. This is why DSB even offers regular scheduled maintenance, we remember it so you don’t have to! 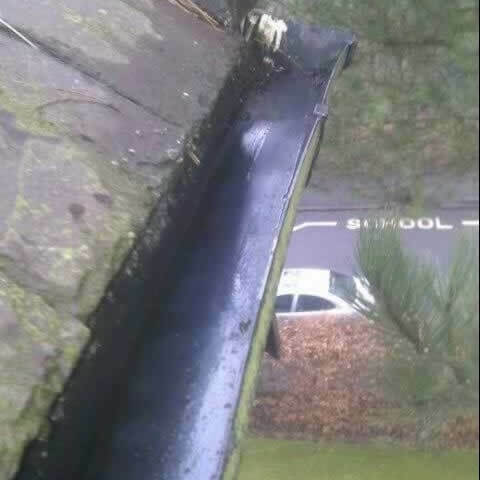 Our gutter clearing service will ensure your gutters are clean and help you avoid any costly problems. 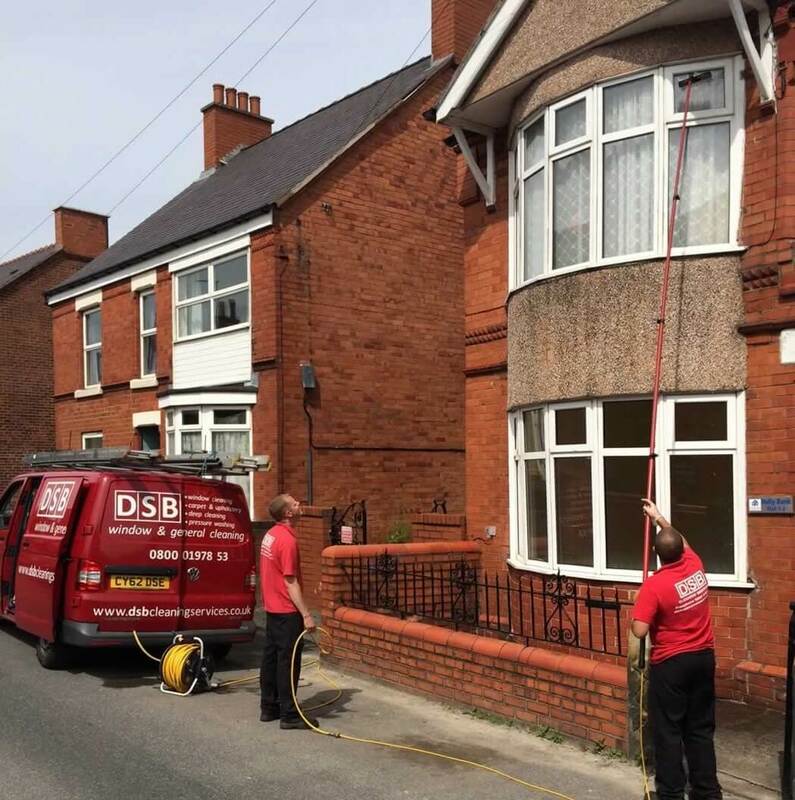 Contact us today for a free, no-obligation quotation where DSB show you why we’re the right company for the job. 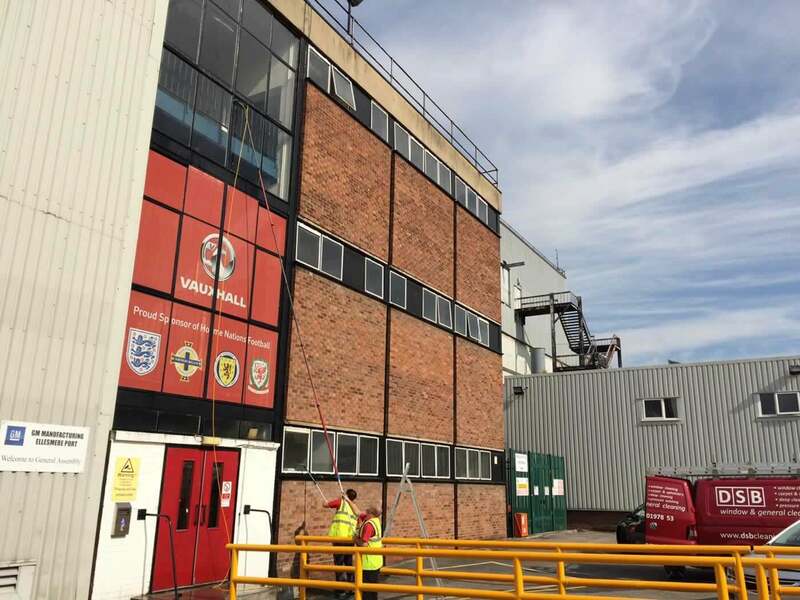 Our expert gutter, fascia & soffit cleaning services are available to homes across the North West including the towns of Wrexham, Chester, Ellesmere Port, Llangollen, North Wales, Oswestry, Ruthin, Mold, Denbigh, Rhyl, Northwich and Runcorn.